Below is a growing list of books you might find useful. If you have suggestions for others (particularly in the area of political theory, geopolitical issues and social theory underlying current events), please leave a comment or send a contact email. 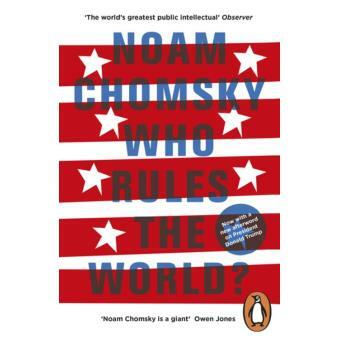 In an incisive, thorough analysis of the current international situation, Noam Chomsky argues that the United States, through its military-first policies and its unstinting devotion to maintaining a world-spanning empire, is both risking catastrophe and wrecking the global commons. Drawing on a wide range of examples, from the expanding drone assassination program to the threat of nuclear warfare, as well as the flashpoints of Iraq, Iran, Afghanistan, and Israel/Palestine, he offers unexpected and nuanced insights into the workings of imperial power on our increasingly chaotic planet. In the process, Chomsky provides a brilliant anatomy of just how U.S. elites have grown ever more insulated from any democratic constraints on their power. While the broader population is lulled into apathy—diverted to consumerism or hatred of the vulnerable—the corporations and the rich have increasingly been allowed to do as they please.